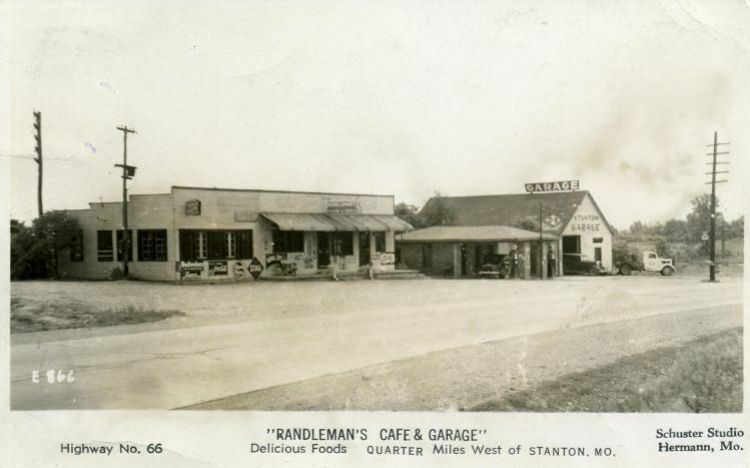 Edgar and Olive Randleman owned this café and garage just west of Stanton. In 1939, Edgar helped catch three escaped prisoners from Iowa when he tipped the State Patrol that three suspicious characters had stopped at the café. The men were captured near Eureka. Edgar died in 1943, and Olive leased the business to a Mr. Woffard.